My first goal in starting ArmedCandy, was to share my experiences as I learned the gun world. I figured that I couldn't be the only woman beginning this journey and seeking out the same information. As I went deeper, I noticed that all the techniques, products and mentalities for gunners, were based on how men had been doing things for years. When something didn't work for me, (like a holster that made my pants fall down) I was told that I would have to adjust. (ex. wear a "gun-belt", wear pants with a higher waistband, wear pants with pockets...) I may not be a serious fashionista but I give a fair amount of attention to my clothes and appearance and, not to be stubborn, but I like my style as it is. So, as a creative person & a problem solver, I am taking on the mission of finding better gun gear for woman. Not only do the current offerings not appeal to my fashion sense, but they don't align with my ideas for concealed carry. For example, an "inside the waistband" holster (IWB) placed at 4 o'clock in my pants creates a very uncomfortable draw angle for me. Further, what if someone bear-hugs me, from behind, in an attempt to drag me off? I don't know the most common method, used by assailants, to grab a woman but, raising my elbow back and behind me to grip my weapon, just doesn't work for me. 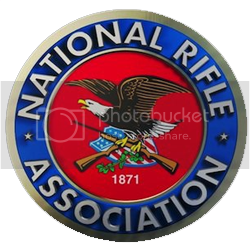 I've looked at thick leather shoulder holsters that, I assume are only sold to those carrying a "man card" along with proof of membership in AARP. Also available are elastic holsters that wrap around various parts of the body, seem sweaty (as they remind me of a thick ace bandage) and, unless donned excessively tight, may migrate. These have worked for men for years, but frankly, ladies are different. Not to worry ArmedCandies, I am on the case! I have begun the process of developing more than one girl gunner holster that actually work & appeal to women. But we will get to that in time. Meanwhile, I have discovered some products that impress me and that attempt to resolve the issue. 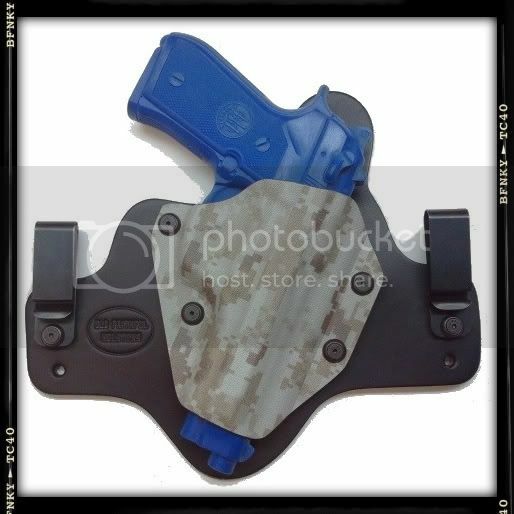 Next, I found a kit that allowed me to create a reliable IWB holster, specific to my weapon, but customizable to my needs. Here is how I took it from a typical IWB, to a personalized masterpiece. I'm on the same quest! 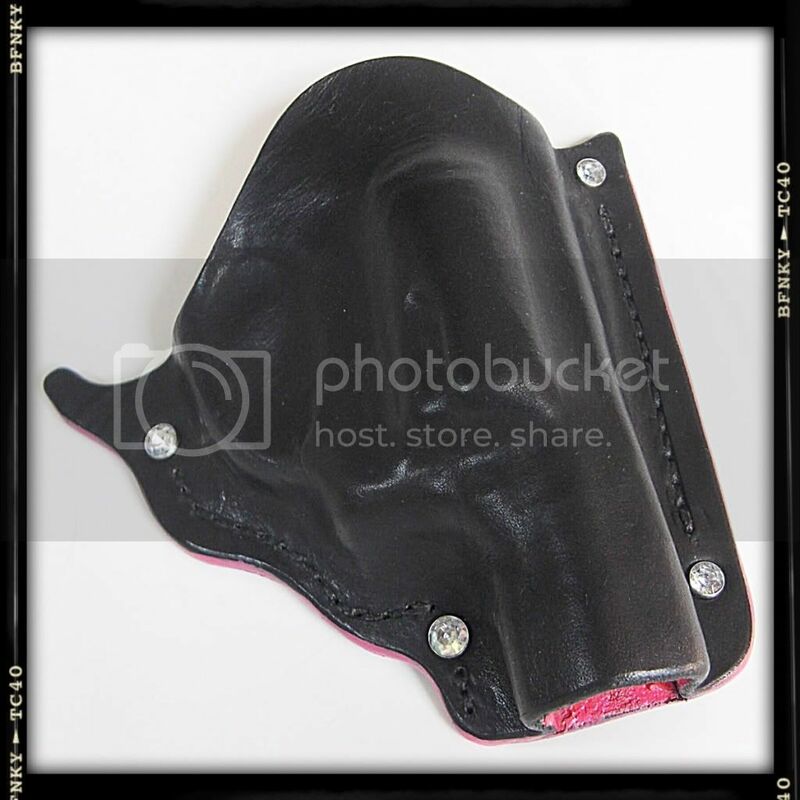 I've pretty much given up on finding the perfect bag, but I WILL find my ideal holster!! Thanks for sharing-I'll be following closely! I, too, bought an Old faithful holster kit. I found getting the nuts to seat properly was a little difficult. But I am very pleased with how it turned out. Good site- thanks for sharing.